Visiting Guatemala and Dental Experts! 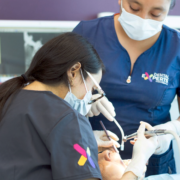 At Dental Experts Guatemala, we are completely prepared to receive patients who arrive from all over the world and to provide services with the same quality that they would have gotten at home… or better. From the moment you contact us to the moment you take your plane back home, you can expect world-class service. First impressions are important. When you call us for the first time, a dentist, not a receptionist, will take your call and answer all your questions in English. 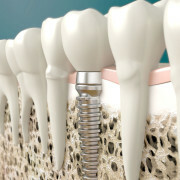 If you prefer to contact us by e-mail, it will also be a dentist who will reply to you. We want you to be well informed and confident that you’re in the best hands. When you’re ready to plan your visit to Guatemala, one of our employees can give you recommendations about the best places to stay, depending on your needs, your budget, and of course, whether you’re planning to make your dental visit part of a family vacation in the heart of the Mayan Empire. And don’t worry about the language. Our dentists and customer service staff are fluent in English. 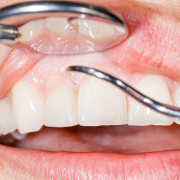 Of course, every member of our group of dental professionals is also proficient in dental vocabulary. Once you arrive at Guatemala City, one of our staff members or agents will be waiting for you at the airport to take you to your hotel. We will also send someone for you at your hotel and drive you to our premises when it’s time for your appointment. All you need to do is relax and recover in one of the fine hotels that Guatemala City offers. If your family is with you, you might even decide to take a few day’s vacation before or after your procedure. Located in the heart of a cultural center, our Antigua Loft offers a private apartment in a nice quiet neighborhood near Antigua center, a perfect location to go out for a walk and explore the many wonderful things Antigua has to offer. 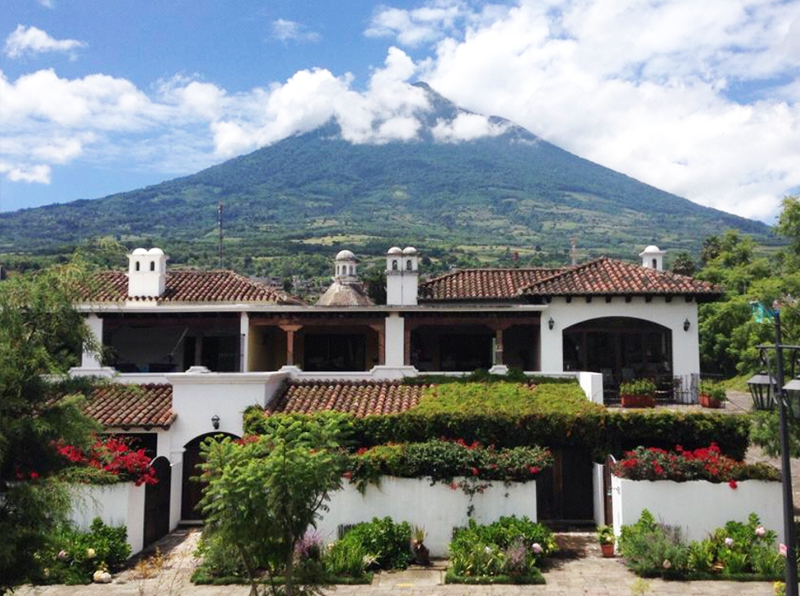 Only an hour outside of Guatemala City, this charming colonial town sits in a valley surrounded by three volcanoes. Explore the cobble streets and discover the Parque Central in the heart of the city, eat ice cream and relax on the park benches. Antigua’s pastel-collared houses are beautiful to behold. The city’s old colonial ruins, act as reminder that Antigua was once the capital not only of Guatemala, but of Central America as a whole. Despite of its relatively small size, Antigua has much more to offer visitors than pretty colonial buildings with yards filled with flowers and fountains. The city also has a buzzing restaurant and bar scene where locals, travelers and ex-pats alike meet to speak ‘Spanglish’ and enjoy international food from Indian and Thai to French (including fondue), American bagels and German bread. Aldous Huxley described Lake Atitlan as ‘the most beautiful lake in the world.’ This is a must-see for visitors to Guatemala. 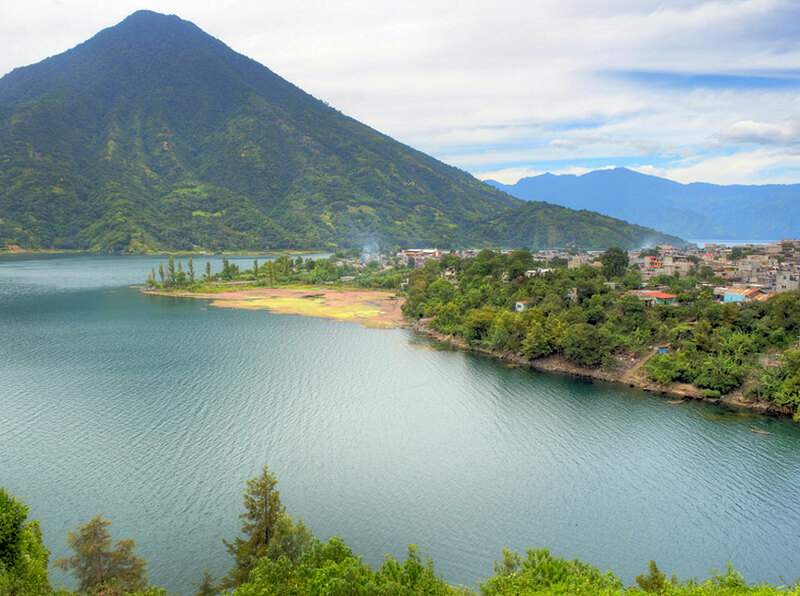 The lake was formed when the lid of a volcano was blown off during an explosion, and is located in the scenic Highlands of Guatemala. Like Antigua, the lake sits neatly nestled between three volcanoes. Lake Atitlan is still home to a massive Maya population. 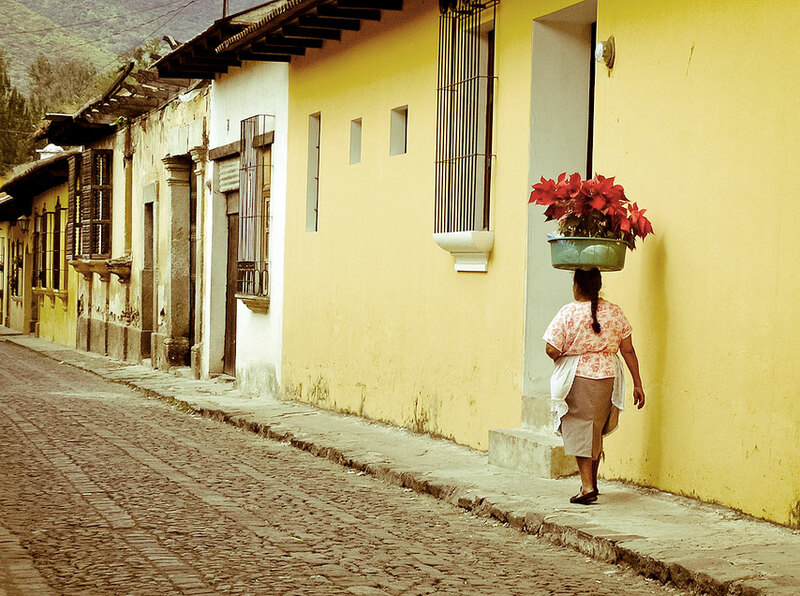 You can catch a glimpse of the women making tortillas and weaving the traditional costumes. The men carry wood on their backs strapped to their heads, pick coffee and sell their produce at local village markets. 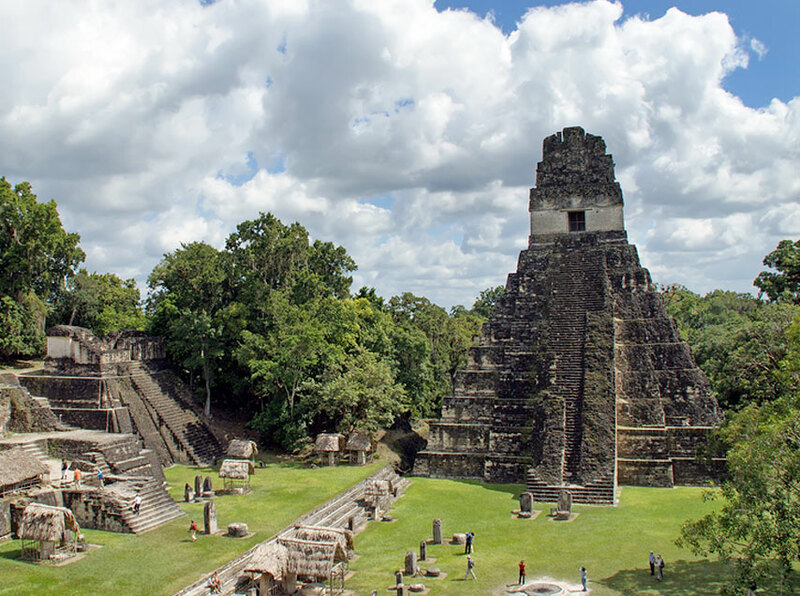 The Maya ruins of Tikal are often described as one of the greatest – if not even the greatest – and most important pieces of ancient Mayan architecture in all of Central America. Once the capital of the Mayan world, it was built in the late-classic Mayan period, around AD 550-AD900. Flores is located on an island in Lake Peten, and is reached by bridge from its ‘sister city’ of Santa Elena. Flores is one of the most beautiful towns in all of Guatemala, especially when seen from a boat out on the lake. Take a day trip out to this charming island and enjoy the boat ride, a relaxing lunch at one of the many restaurants on the shore and take a stroll along the pier. You can also take a boat ride to one of the nearby beaches or to Petencito, a small zoo on an island in the lake which is home to animals indigenous to the region. While it is a difficult word to pronounce, Chichicastenango is a must-see on your visit to Guatemala. People visit ‘Chichi’ for its colorful market, held on Thursdays and Sundays. 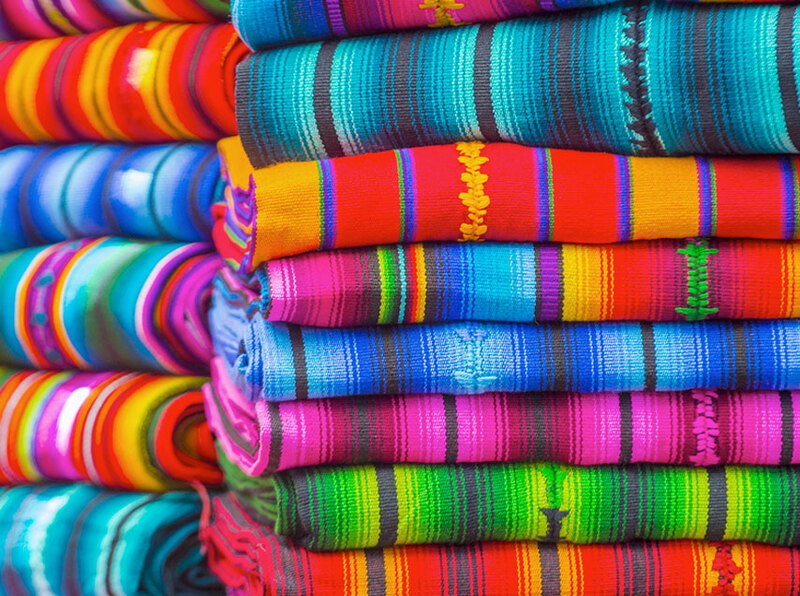 Get great bargains on typical clothes, souvenirs and jewellery. If you are not able to visit the market or are looking for a different experience, you can visit the brightly-colored cemetery overlooking the town, or take a hike out of town to Pascual Abaj, a Mayan shrine on a hill above town. Meaning “sacrificial stone” in a local Mayan language, Pascual Abaj is a shrine to Huyup Tak’ah, the Mayan earth god. Visitors are welcome here, and the local indigenous Mayans make the short trek regularly to bring good luck or good health. Don’t worry. Our standards for hygiene and the quality of our equipment and materials are extremely high. 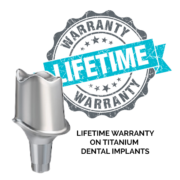 We are constantly investing in state-of-the-art equipment, software, and dental materials in order to give you the best outcome. 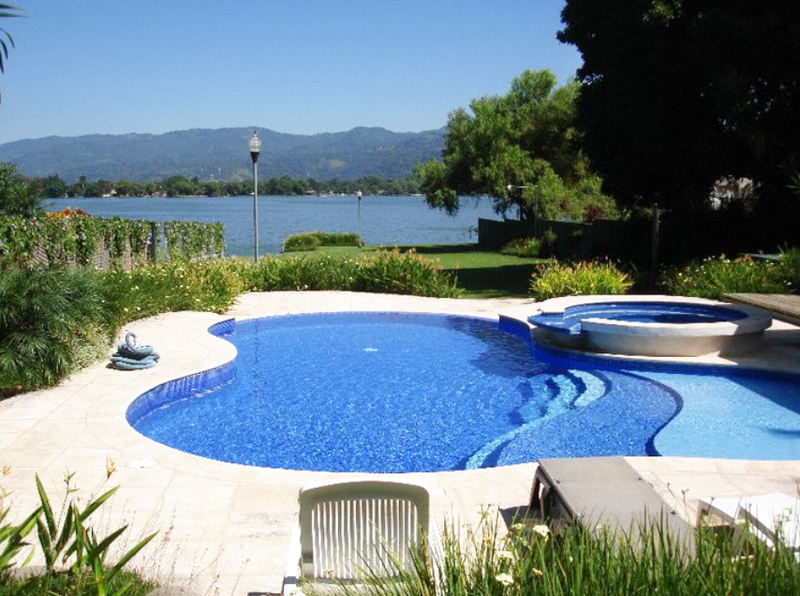 In addition, we offer you the warmth and human touch of the Latino culture. We make sure that you feel safe and informed. More than a patient, you will become our friend. All these factors have contributed to one of the highest levels of quality and patient satisfaction in dental care in the Americas. We are so confident about the quality of our work that we guarantee it for 10 years!